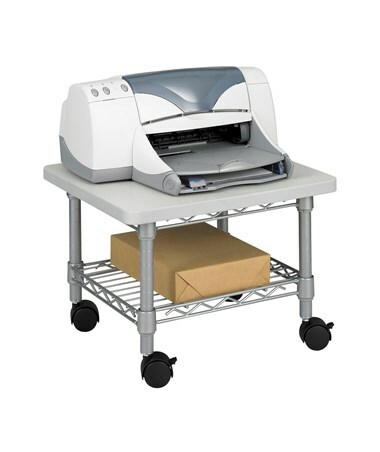 The Safco Under-Desk Printer/Fax Stand is a compact and discreet machine stand that slides under a desk, perfect for a space-saving setup. It features two shelves, one 19 inches wide laminate top and a steel wire shelf for an added storage. 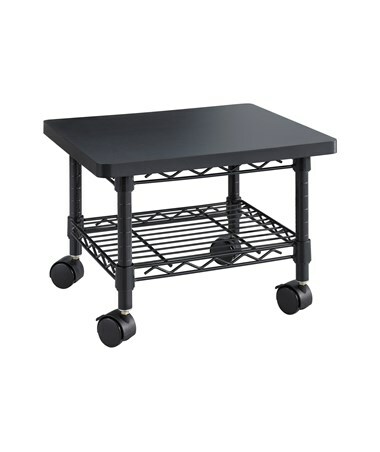 Four swivel casters allow the cart to move smoothly on any surface and two of these casters can be locked. 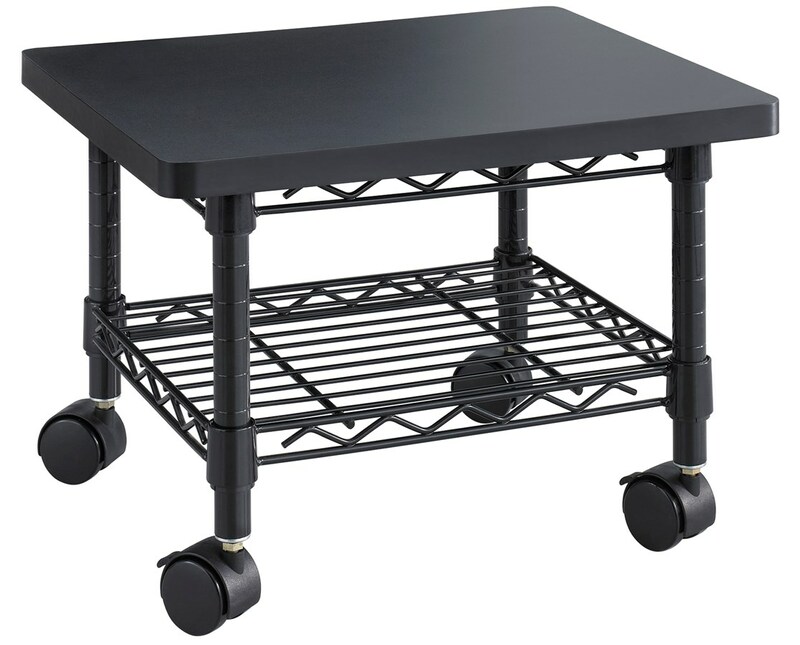 This mobile stand has a steel frame and can hold up to 300 pounds of weight. It is easy to assemble with no tools needed. 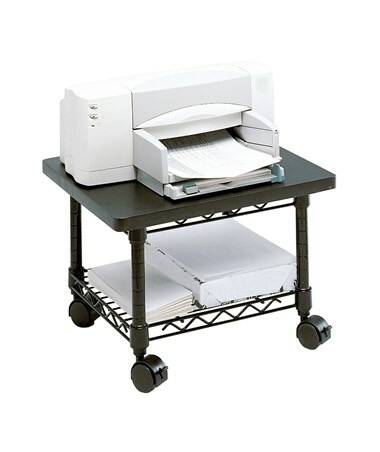 The Safco Under-Desk Printer/Fax Stand is available in two different colors. Please select your preference from the choices above.